What exactly is 4X Overland Adventures? We provide overland adventures to the masses. Our focus is on those that have the desire to overland but may not have the experience, equipment, or time to plan an adventure. Our experienced crews will provide leadership, advice, and support. 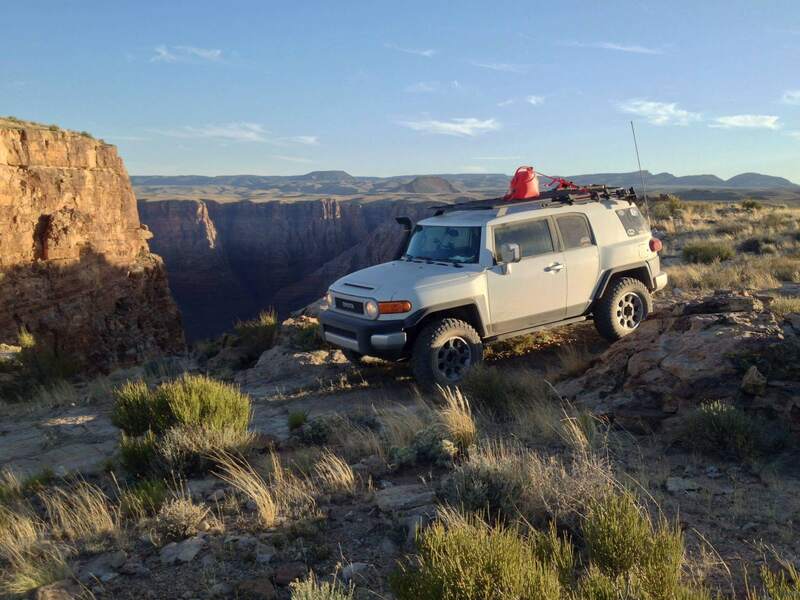 4X Overland Adventures (4XOA) was created in a parking lot in Flagstaff, AZ during the inaugural Arizona Border to Border run. My desire to lead a group of people on a multi-day adventure turned into the desire to create a new business. It has been close to a year in the making. Lots of research completed, trial runs, business planning, you name it to get where we are today. While 4XOA is a for profit company we will continue to support the local four wheeling community by offering shorter adventures for free or very low cost. This allows us to research trails and gain feedback to make the paid adventures as best as they can possibly be. Understand that we will not give up on events created by volunteers. This is the lifeblood of any outdoor experience. Multi-day paid adventures are not for everyone. For those with the desire to be led by professionals, we are here to serve you. The paid adventures are turn key. Meals provided, tents and camping equipment, and even a four wheel vehicle if required. These events are especially for those that will travel from abroad. All paid trips include a medical staff member, mechanic, meals, support gear including common spare parts, camping equipment as required and emergency life flight medical insurance. Chris is a professional pilot and has a passion for exploring the backroads of AZ and beyond. "Each week I get to fly over amazing backroad destinations. 4XOA allows me to share the experience of exploring these backroads with other outdoor enthusiasts. If you have ever been on a flight, looked down and said 'I want to go there!' join us on a 4XOA Adventure." He owns a slightly modified 2011 FJ Cruiser. I am a retired U.S. Marine and currently lead the training and technical publications section at a local Aerospace company. As an avid outdoorsman I enjoy spending as much of my time seeing all of the beauty this planet has to offer. There is nothing more relaxing than waking up just feet from the North Rim of the Grand Canyon or watching a hawk circle above as you eat your lunch in the middle of the Sonoran Desert. 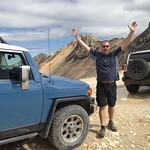 I own an Iceberg FJ Cruiser that has seen more dirt miles than pavement; and plan to keep it that way!